EDITORIAL: Why now, Mr. Medvedev, why now? 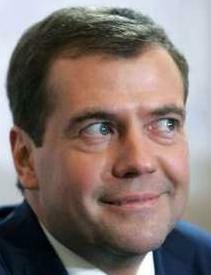 Why now, Mr. Medvedev, why now? Last week any intelligent Russian citizen had just one question in response to a pair of orders emanating from their so-called “president”: Why now, Mr. Medvedev, why now? First, in response to the crash of an airliner that killed an entire Russian professional ice hockey team, Medvedev ordered the airline shut down. But intelligent Russians were asking: Why didn’t you shut them down before the crash, Mr. Medvedev? Why did you wait so long? Then, in response to growing civil unrest, Medvedev authorized the Russian Gestapo to utilize water cannons, tasers and tear gas on peaceful opposition protesters who fail to disperse upon the illegal order of the authorities. Intelligent Russian citizens were asking: Why now, Mr. Medvedev? We’ve previously reported on the appalling lack of openness to charity displayed by Russian citizens, especially in comparison with the much more generous Americans. The data clearly shows that Russians simply don’t care what happens to their fellow man. Two other items in today’s issue, an essay by Russian film director Andrei Konchalovsky and an editorial about personal corruption by Vladimir Putin, confirm emphatically that Russians simply don’t give a damn at best, at worst they wish their fellow citizens harm. And that’s just other Russian citizens. When it comes to people from other countries, you may as well consider Russians to be sadists. Take Syria, for example. 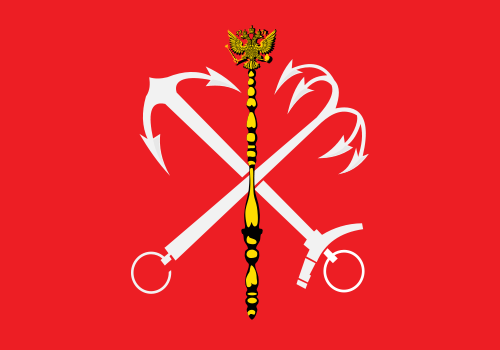 Before Vladimir Putin came along, the city of St. Petersburg, Russia enjoyed a national and even an international reputation for enlightenment. It was called Russia’s “window on the West” and it was famous for citizens who had a broader world view, a more democratic inclination, who were more civilized and intelligent than ordinary Russians. But Putin, a native of Piter, changed all that. From the moment the world learned how he shamelessly plagiarized his dissertation at an elite Piter university, it became clear that Piter was just like every other rotten place in Russia under the skin. When it remained just as silent as the rest of the country (or cheered even louder) as its native son seized power in Moscow, filled the Kremlin halls with proud KGB spies and began a relentless neo-Soviet crackdown, the world saw the true St. Petersburg. And nothing could have better confirmed Piter’s wretched barbarism than the recent election campaign of former governor and Putin lackey Valentina Matvienko for a local legislative post in the city, one she needed so Putin could appoint her to the Federation Council and name her speaker. In light of what has occurred with former Russian Prime Minister Mikhail Kasyanov’s People’s Freedom Party, it is hard for us to see how any thinking person can now view the people of Russia with anything but naked contempt. Meanwhile, despite telling the Financial Times that he thought political competition was essential to Russia’s future and that it was “very bad” that there were no liberal parties represented in the Duma, Medvedev himself said the he would not run against Vladimir Putin if Putin chose to seek the presidency for at third time. There is something sinister in the way ballot boxes were purportedly stuffed during the March 13 Tambov regional elections to boost United Russia’s results. It was pulled off under the cover of a blood drive. Last Thursday, Nikolai Vorobyov, a lawyer and Tambov regional head of the Party of People’s Freedom, released a 20-page report detailing election fraud. It contained hundreds of testimonies, photos, videos and statements made by witnesses. As a drop of water reflects the composition of the larger sea, a glimpse into the Tambov elections reflects the entire complex machinery of lies and fraud that United Russia apparently uses over and over again across the country to create the illusion of popular support for the party. And yet Prime Minister Vladimir Putin has enjoyed high and steady approval ratings for years. A mild drop in early 2011 probably reflected frustration over social injustice and a growing sense of insecurity and uncertainty about the future. Even so, about 70 percent of respondents in a February poll said they approved of Putin’s performance. President Dmitry Medvedev’s approval ratings are only slightly lower.